Toronto Mayor Rob Ford skipped attending a flag-raising ceremony at City Hall on Monday, the second straight year the mayor has not attended the kick-off to the city's Pride celebrations. As expected Toronto Mayor Rob Ford did not attend the flag raising for the city's Pride festival on Monday. 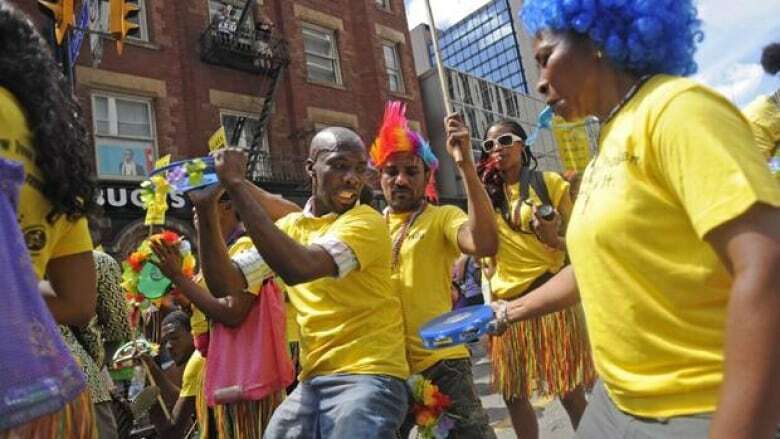 The festival, which is held every year, is a celebration for the city's gay, lesbian and transgender communities — and one of the biggest in the world. Local councillors Kristyn Wong-Tam and Shelley Carroll officiated at the noon-hour ceremony. Carroll delivered a statement from the mayor, which was greeted with laughter, when she read the proclamation declaring it Pride Week in the city of Toronto. Hundreds of people gathered into Nathan Philips Square for the flag raising. Ford said last week he would not attend the ceremony, saying he had other, unspecified commitments. He skipped the flag raising last year, as well. The mayor has also said he will not take part in the July 1, Pride parade which is the culmination of the 10-day festival. Ford says his family has an annual tradition of spending the Canada Day weekend at the cottage. Pride organizers estimate the festival attracts about 1.2 million visitors and pumps tens of millions of dollars into the city's economy.